To balance things up a bit, for all you girls and gay fella’s out there, here’s a picture of Charlie himself! And here’s a picture of them together – Ahhhhhh..
Podium Kiss promote TORQ and Exposure Lights to the Danish market and sponsor numerous events in Denmark. Their prizes, among other things, a trademark Podium Kiss guaranteed for the high achievers. Check out Charlie’s Podium Kiss invite to Danish riders for this year’s Dusk Till Dawn event in Thetford Forest, Norfolk. 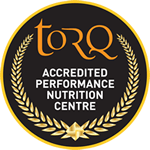 TORQ will be there too of course, so if you want to check out our Cycle Show launch products a couple of days early or more importantly, earn yourself a Podium Kiss, you’d better get yourself along.